Friendly, personable, professional, took time to ask and answer questions. Highly recommend! Everyoneis very sweet and helpful! Dr is caring and takes time to listen to what is wrong..i give them all a 5 star..
Staff were friendly and helpful. Doctor addressed my concerns and answered my questions. She seemed to be a kind and caring person and helped me to feel comfortable during the exam. Would definitely recommend this facility. Dr Brown and her assistant were very pleasant and discussed all of my concerns. Dr Brown and staff friendly and professional. Feel very confident in their work. Thank you. As always, Jennifer was very helpful, this time was just last evening and my itching is better already. The folks at the Murphy office are great... Helpful, caring, knowledgeable and supportive. They have been a true Blessing to me. I'm grateful. Heather Was very helpful and did above and beyond by calling the pharmacy and quest diagnostics for my son’s meds and labs to be done and informing me. I’m so grateful and I appreciate everything that she did . Since I’m in Houston and my son is in Dallas. Great staff !!! Was very impressed and pleased. Very thorough and professional. Most appreciated Dr. Explaining everything. Always professional, knowledge and puts patients at ease. Annual full body check for skin cancer. Wart removal. Always gentle and careful when freezing off such things. Friendly, fast, and direct! Quick visit to get the help I needed! Their scheduling works well and everyone is very patient friendly. I will be returning frequently for treatments. The reception area is tastefully done and welcoming. Exam and treatment rooms are clean and orderly. 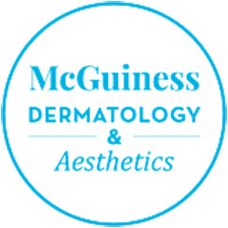 Dr. McGuiness explained my treatment options and answered all my questions. The staff are warm and welcoming. Dr. Brown is very professional and personable. They explained the procedure well and my experiences have been very positive. Quick and a successful visit with no concerns. It was absolutely wonderful!! Dr. Hodges is so encouraging and kind!!! Always answers any questions I have and is so patient! Judy S.